To the laminate for many years has retained its attractive appearance and is not destroyed by mechanical effects, it is necessary to choose the right thickness of the panels and their castle. From these characteristics determine the durability of this flooring. Opinions about popular flooring – laminate, quite controversial. Many believe that this finishing material is short-lived because of its small stiffness in buckling and weak resistance to mechanical impact. What professionals will say that you need to know how to choose the thickness of the floor, and it will prove in practice their high performance properties. This material has a complex multilayered structure that aims to provide it strength and durability. Decided to allocate 4 main layers, the structure of which is different. To buy quality flooring, you should know about what should be the thickness of each of them, and in particular the operational surface providing abrasion resistance. Depending on the type of strength of the protective layer laminate is divided into classes. Laminating thickness ranges from 0.2 mm to 0.6 mm. Where and how to lay laminate flooring? Provided a smooth base and small loads on the floor surface is sufficiently furnish laminate panels with a thickness of 6-8 mm. Are conventional conditions for bedrooms and other rooms of a narrow functionality. In conditions of intensive use of the floor (kitchens, living rooms, nurseries and other premises with a stable temperature regime) requires a large thickness of the whole panel or its upper layer. On the packaging the manufacturer specifies the density of the lamination of this product. Best choice flooring with a thickness of 8-10 mm with protection from 0,4 mm. For industrial premises, shops, offices with high foot traffic, it is recommended to use a commercial laminate with the load 31,32 and 33. Panel thickness of these products is 10-12 mm. They have a high resistance to abrasion and can be stacked on a surface with small irregularities that compensate high-quality substrate. Choosing a laminate it is necessary to pay attention not only to its thickness, but also the form of locks, which largely determine the service life of this floor covering. The quality of these connection elements depends on the thickness of the primary plate layer, which is for residential premises must not be less than 8 mm. 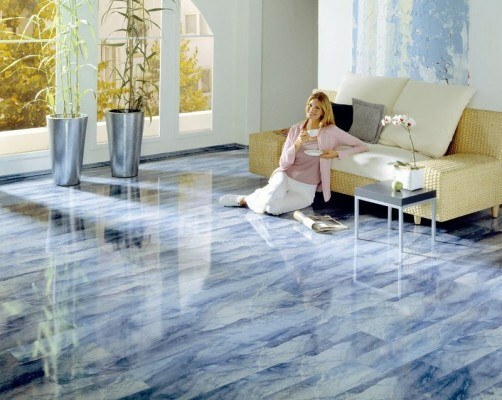 In this case, you can be sure that the floor coating perfectly will last for years.